So I have heard the news that NARS are releasing a special edition palette, potentially to celebrate their 20th anniversary. 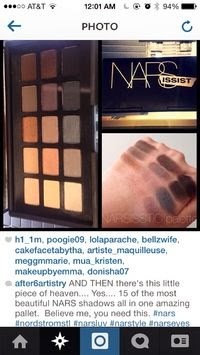 It seems that the NARS employees have jumped the gun a touch and have been showing off all the loveliness heading our way January 20th! How much am I loving the good range of colour, and knowing Nars this should be of a decent size. No shout on the price yet, so a spat of saving may have to take place over the next 10 days, because I do not want to let this stunning set slip me by!